We are certain that William, Charlotte and Oliver are going to make an appearance on the list of most popular baby names in the world for 2015. But what about within our own Babyology community? We asked and thousands of you answered. Come and see what our readers named their babies last year. What are our readers naming their baby girls? Charlotte topped the charts with 32 readers choosing the adorable name. There were 24 Amelia’s, 23 Isla’s, 22 Evie’s and 21 Scarlett’s and Emily’s. Other popular names include Harper (17), Georgia (16), Chloe (14) and Ella (14). The most popular baby boy name amongst our Babyology readers last year was clearly Oliver with 34 parents selecting the popular name for their little one. Other popular names include some surprises such as Oscar (20) and Archer (17) as well as favourites such as William (24) and Charlie (18). Lincoln, Hudson, Ethan, Riley and Cooper were also high on the list. 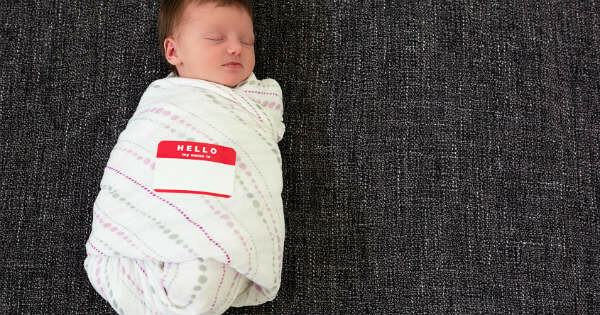 So, did your little one’s name make the list of our readers’ most popular baby names? Thank you so much to the thousands of readers who participated in our survey! Stay tuned to discover more of our very favourite baby names from the results – these names are too cute not to consider when naming your bub! And check out our baby name archives for more inspiration.